Submission Deadline: January 10, 2017. Advance online publication (with DOI) will take place in 2018. Most people today are born, grow, learn, work, and live in a world shaped by consumer culture, and this inevitably affects their search for religious and spiritual meaning in life. With this special issue, the Journal of Management, Spirituality and Religion extends an invitation to scholars in the field of marketing, consumer research and related disciplines to contribute to the journal with their best work on the marketing and consumption of spirituality and religion. Since its inception, JMSR has become the reference point for researchers interested in the religious and spiritual aspects of managing and organizing, publishing cutting-edge research in management, leadership, business ethics, human resources, and organizational behavior. Yet, workers, entrepreneurs, managers and leaders, once they leave the doors of their workplace, become consumers; at the same time, the organizations they spend their working time in, more often than not, need to sell products and services in the marketplace to survive and thrive. Theories and concepts developed in the context of marketing and consumer research can therefore add insight to our understanding of the religious aspects of managing and organizing. Additionally, marketing and consumption studies can shed light to a variety of little understood phenomena that are prevalent in secularized societies where religious organizations and new spiritual movements alike operate in a competitive marketplace, where postmodern consumers mix and match values, philosophies and ideas coming from different religious and spiritual traditions, and where globalization, the internet, tourism, and immigration provide access to spiritual and religious resources and communities at an unprecedented scale. In their mapping of literature in the field, Rinallo, Maclaran and Scott (2013b) highlight four areas of research which all fall within the scope of the current special issue (see figure 1 below). Their quadripartite classification of extant literature is built on Belk et al.’s (1989) influential seminal work on the sacred and profane in consumer research. By suggesting that the sacred can be empirically investigated, and by putting the sacred aspect of consumption at the core of what is now known as consumer culture theory, Belk et al. (1989) paved the way for and shaped subsequent exploration of consumers’ and marketers’ sacralization of the mundane. 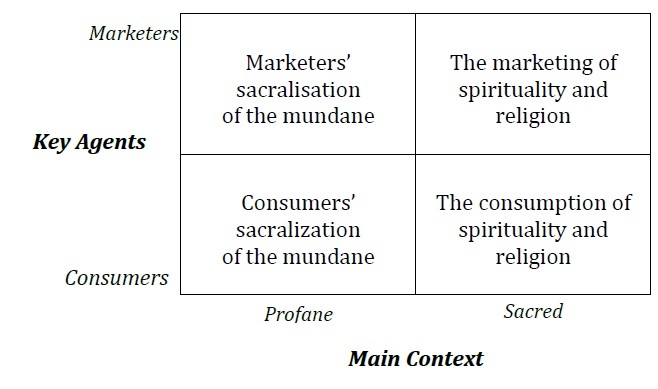 Figure 1 differentiates the marketing and consumption of religion and spirituality in a strict sense from the sacred elements of profane consumer behavior, and further distinguishes contributions based on whether the key agents investigated are consumers or marketers, thus providing a useful representational tool to map the field. Much of the work cited in our reference list examines consumers’ sacralization of mundane products, services and brands (e.g., Belk and Tumbat, 2005; Muñiz and Schau, 2005). Much less researched are the processes through which marketers and brands call upon spirituality and religion to enhance the value of their offerings. Despite the advice contained in popular management books on how to create brand cults and ‘turn customers into believers’ (Atkin, 2004; Ragas and Bueno, 2002), only recently has research started to unpack the processes involved in brands’ cooptation of religious ideologies (Izberk-Bilgin, 2012) or their open transgression of religious values and practices (Rinallo et al., 2012). Similarly, the marketing practices of religious/spiritual organizations, leaders and movements have been until recently the subject of a reduced attention in marketing and consumer research, despite heightened interest – often critical in nature – outside the field (e.g., Cimino and Lattin, 1999; Einstein, 2008; Lyon, 2000; Miller, 2004; Moore, 1994; Twitchell, 2007). The theme of religious marketing and consumption has surfaced in marketing journals (see recent special issues of the International Journal of Nonprofit and Voluntary Sector Marketing [2010, Vol. 15, n. 4] and Journal of Macromarketing [forthcoming]), and an entire journal is dedicated to the burgeoning field of Islamic Marketing, namely Journal of Islamic Marketing. This special issue welcomes empirical, methodological, and conceptual papers. In terms of methods, we are open to both qualitative and quantitative research designs, as long as data gathering and analysis procedures are rigorous. Similarly, we welcome positivist, interpretive, and critical approaches alike. We also want to encourage work based on theoretical reflection on religion and spirituality outside of marketing, consumer research, organization studies and management (e.g., psychology, sociology, anthropology, theology, cultural studies, political science, history, geography, etc.). Methodological and conceptual papers are also encouraged, provided that they make appropriate contributions. Finally, we will consider both theoretical work and managerially oriented contributions. A few final caveats. First, spirituality and religion are often distinguished both in everyday talk and at the analytical level. Sometimes, excessively rigid definitions characterize religion/religiosity in negative terms (e.g., as static, institutionalized, belief-based) and in opposition to spirituality, seen more favorably as dynamic, personal, and experience-based. While differences between religion and spirituality do exist, we concur with those who propose that the former can be a pathway to the latter, as religion “can be viewed as a road map for spirituality, a road map that contains in its beliefs and symbols the accumulated wisdom of those who have made the journey before” (Kale, 2004: p. 95). Second, we hope to include in this special issue papers covering a great variety of religions and spiritualities: not only the world religions, but also smaller, less known and/or younger religious/spiritual movements. Finally, we want to recommend the utmost respect and cultural sensitivity in dealing with ‘other’ religious/spiritual beliefs and practices. Early expressions of interests and enquiries can be directed to the special issue editors: diego.rinallo@kedgebs.com and/or mathieu.alemany@iae-aix.com. If you are interested in reviewing for this special issue, please contact the guest editors. Alserhan, B. A. 2010. “On Islamic Branding: Brands as Good Deeds.” Journal of Islamic Marketing 1 (2): 101–106. Andreini, D., D. Rinallo, G. Pedeliento, and M. Bergamaschi. 2015. “Brands and Religion in the Secularized Marketplace and Workplace: Insights from the Case of an Italian Hospital Renamed after a Roman Catholic Pope.” Journal of Business Ethics, forthcoming. Arham, M. 2010. “Islamic Perspectives on Marketing.” Journal of Islamic Marketing 1 (2): 149–164. Askegaard, S., and G. M. Eckhardt. 2012. “Glocal Yoga: Re-appropriation in the Indian Consumptionscape.” Marketing Theory 12 (1): 45–60. Atkin, D. 2004. The Culting of Brands: When Customers Become True Believers. New York: Portfolio. toward Advertising by Religious Organizations.” Journal of Marketing Management 13 (Fall/Winter): 71–83. Belk, R. W., M. Wallendorf, and J. F. Sherry. 1989. “The Sacred and Profane in Consumer Behavior: Theodicy on the Odyssey.” Journal of Consumer Research 16 (June): 1–38. Belk, R. W., and M. Wallendorf. 1990. “The Sacred Meanings of Money.” Journal of Economic Psychology 11 (Mar. ): 35–67. Belk, R.W., and G. Tumbat. 2005. “The Cult of MacIntosh.” Consumption, Markets & Culture 8 (3): 205–217. Cayla, J., and M. Elson. 2012. “Indian Consumer Kaun Hai? The Class-Based Grammar of Indian Advertising.” Journal of Macromarketing 32 (3): 295–308. Dixon, D. 2001. “Conspicuous Consumption Versus the Protestant Ethic: The View From Pepys’s Diary.” Journal of Macromarketing 21 (2): 146–55. Drane, J. 2000. The McDonaldization of the Church. London: Darton, Longman & Todd Ltd.
Eckhardt, G. M., and H. Mahi. 2012. “Globalization, Consumer Tensions, and the Shaping of Consumer Culture in India.” Journal of Macromarketing 32 (3): 280–294. Einstein, M. 2008. Brands of Faith: Marketing Religion in a Commercial Age. New York: Routledge. Ertimur, B. and G. Coskuner-Balli. 2015. “Navigating the Institutional Logics of Markets: Implications for Strategic Brand Management.” Journal of Marketing 79 (2): 40–61. Friedman, H. H. 2001. “The Impact of Jewish Values on Marketing and Business Practices.” Journal of Macromarketing 21 (1): 74–80. Gould, S. J. 2006. “Cooptation through Conflation: Spiritual Materialism is not the Same as Spirituality.” Consumption, Markets and Culture 9 (1): 63–78. Haq, F., and J. Jackson. 2009. “Spiritual Journey to Hajj: Australian and Pakistani Experience and Expectations.” Journal of Management, Spirituality & Religion 6 (2): 141–156. Higgins, L., and K. L. Hamilton. 2014. “Faith, Hope and Love: Doing Family Through Consuming Pilgrimage.” Journal of Marketing Management 30 (15-16): 1577–1596. Hopkins, C. D., K. J. Shanahan, and M. A. Raymond. 2014. “The Moderating Role of Religiosity on Nonprofit Advertising.” Journal of Business Research 67(2): 23–31. Izberk-Bilgin, E. 2012. “Infidel Brands: Unveiling Alternative Meanings of Global Brands at the Nexus of Globalization, Consumer Culture, and Islamism.” Journal of Consumer Research 39 (Dec.): 1–49. Kale, S. H. 2004. “Spirituality, Religion and Globalization.” Journal of Macromarketing 24 (2): 92–107. Kamarulzaman, Y., A. Veeck, A. G. Mumuni et. al. 2016. “Religion, Markets, and Digital Media: Seeking Halal Food in the U.S.” Journal of Macromarketing, forthcoming. Kenneson, P. and J. L. Street. 1997. Selling Out the Church: The Dangers of Church Marketing. Nashville: Abingdon. 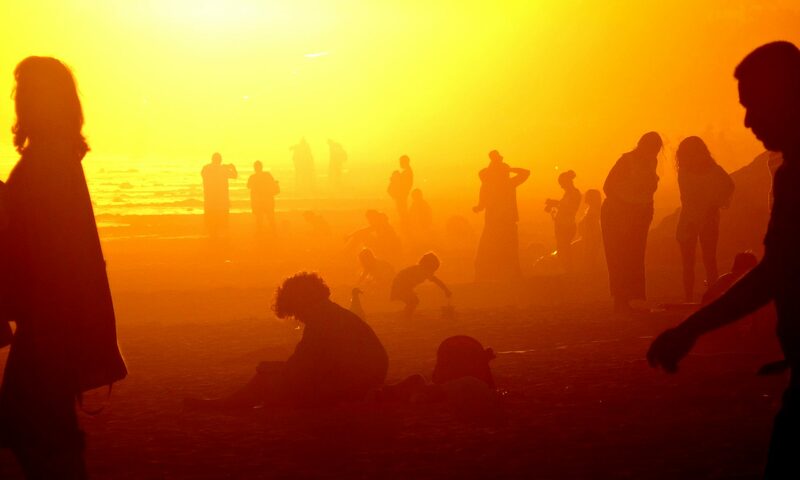 Illuminations from Burning Man.” Journal of Consumer Research 29 (Jun. ): 20–38. Kozinets, R. V. 2001. “Utopian Enterprise: Articulating the Meanings of Star Trek’s Culture of Consumption.” Journal of Consumer Research 28 (Jun. ): 67–87. Llamas, R., and R. Belk. 2011. ‘‘Shangri-La: Messing with a Myth.’’ Journal of Macromarketing 31 (3): 257–75. Leary, R. B., E. A. Minton, and J. D. Mittelstaedt. 2016. “Thou Shall Not? The Influence of Religion on Beliefs of Stewardship and Dominion, Sustainable Behaviors, and Marketing Systems.” Journal of Macromarketing, forthcoming. Mazumdar, S., and S. Mazumdar .2005. “How Organizations Interface with Religion: A Typology.” Journal of Management, Spirituality, and Religion 2 (2), 199–220. McAlexander, J. H., B. L. Dufault, D. M. Martin, and J. W. Schouten. 2014. “The Marketization of Religion: Field, Capital, and Consumer Identity.” Journal of Consumer Research 41 (3): 858–75. McDaniel, S. W. 1986. “Church Advertising: Views of the Clergy and General Public.” Journal of Advertising 15 (Mar. ): 24–29. McDannel, C. (1998). Material Christianity: Religion and Popular Culture in America. New Haven: Yale University Press. McGraw, P., J. A. Schwartz, and P. E. Tetlock. 2012. “From the Commercial to the Communal: Reframing Taboo Trade-offs in Religious and Pharmaceutical Marketing.” Journal of Consumer Research 39 (Jun. ): 157–173. Mittelstaedt, J. D. 2002. “A Framework for Understanding the Relationships between Religions and Markets.” Journal of Macromarketing 22 (1): 6–18. Moore, R. L. 1995. Selling God: American Religion in the Marketplace of Culture. Oxford, UK: Oxford University Press. Morgan, D. 2010. Religion and Material Culture: The Matter of Belief. New York: Routledge. Moufahim, M. 2013. “Religious Gift Giving: An Ethnographic Account of a Muslim Pilgrimage.” Marketing Theory 13(4): 421–441. Muñiz, A. M., and H. J. Schau. 2005. “Religiosity in the Abandoned Apple Newton Brand Community.” Journal of Consumer Research 31 (Mar. ): 737–747. O’Guinn, T. C., and Belk, R. W. 1989. “Heaven on Earth: Consumption at Heritage Village, USA.” Journal of Consumer Research 16 (Sep.): 227–238. Pace, S. 2013. “Does Religion Affect the Materialism of Consumers? An Empirical Investigation of Buddhist Ethics and the Resistance of the Self.” Journal of Business Ethics 112 (1): 25–46. Paquier, M.-C. 2015. “Buying Monastic Products, gift or purchase?” Journal of Management, Spirituality & Religion 12 (3): 257–286. Putrevu, S., and K. Swimberghe. 2013. “The Influence of Religiosity on Consumer Ethical Judgments and Responses Toward Sexual Appeals.” Journal of Business Ethics 115 (2): 351–365. Ragas, M. W., and B. J. Bueno. 2002. The Power of Cult Branding: How 9 Magnetic Brands Turned Customers into Loyal Followers (and Yours Can, Too). New York: Crown Business. Rinallo, D., S. Borghini, G. Bamossy, and R. V. Kozinets. 2012. “When Sacred Objects Go B®a(n)d: Fashion Rosaries and the Contemporary Linkage of Religion and Commerciality.” In Consumption and Spirituality, edited by D. Rinallo, L. Scott, and P. Maclaran , 29–40. New York: Routledge. Rinallo, D., P. Maclaran, and L. Stevens. 2016. “A Mixed Blessing: Market-mediated Religious Authority in Neopaganism.” Journal of Macromarketing, forthcoming. Rinallo, D., L. Scott, and P. Maclaran, eds. 2013a. Spirituality and Consumption. New York: Routledge. Rinallo, D., L. Scott, and P. Maclaran. 2013b. “Unravelling Complexities at the Commercial/Spiritual Interface.” In Consumption and Spirituality, Consumption and Spirituality, edited by D. Rinallo, L. Scott, and P. Maclaran, 1–25. New York: Routledge. Sandıkcı, Ö. 2011. “Researching Islamic Marketing: Past and Future Perspectives.” Journal of Islamic Marketing 2 (3): 246–258. Sandıkcı, Ö, M. Peterson, A. Ekici, and T. Simkins. 2016. “Development and Quality of Life in Turkey: How Globalization, Religion, and Economic Growth Influence Individual Well-being.” Journal of Macromarketing, forthcoming. Shechter, R. 2011. “Glocal Conservatism: How Marketing Articulated a Neotraditional Saudi Arabian Society during the First Oil Boom, c. 1974–1984.” Journal of Macromarketing 31 (4): 376–86. Scott, L., and P. Maclaran. 2009. “‘Roll Your Own’ Religion: Consumer Culture and the Spiritual Vernacular.” In NA – Advances in Consumer Research Volume 36, edited by A. L. McGill and S. Shavitt, 60–63. Duluth, MN: Association for Consumer Research. Schouten, J. W., and J. H. McAlexander. 1995. “Subcultures of Consumption: An Ethnography of the New Bikers.” Journal of Consumer Research 22 (Jun. ): 43–61. Shaw, D., and J. Thomson. 2013. “Consuming Spirituality: The Pleasure of Uncertainty.” European Journal of Marketing 47 (3-4): 557–573. Singhapakdi, A., J. S. Vitell, D.-J. Lee, A. M. Nisius, and G. B. Yu. 2013. “The Influence of Love of Money and Religiosity on Ethical Decision-Making in Marketing.” Journal of Business Ethics 114 (1): 183–191. Swimberghe, K., L. A. Flurry, and J. M. Parker. 2011. “Consumer Religiosity: Consequences for Consumer Activism in the United States.” Journal of Business Ethics 103 (3): 453–467. Takhar, A., P. Maclaran, and L. Stevens. 2012. “Bollywood Cinema’s Global Reach: Consuming the ‘Diasporic Consciousness’.” Journal of Macromarketing 32 (3): 266–79. Tumbat, G. and R. W. Belk. 2011. “Marketplace Tensions in Extraordinary Experiences.” Journal of Consumer Research 38 (Jun. ): 42–61. Thompson, C. J., and G. Coskuner-Balli. 2007. “Enchanting Ethical Consumerism: The Case of Community Supported Agriculture.” Journal of Consumer Culture 7 (3): 275–304. Usunier, J.-C., and J. Stolz. 2014. Religions as Brands: New Perspectives on the Marketization of Religion and Spirituality. New York: Routledge. Vitell, S. J. and J. G. P. Paolillo. 2003. “Consumer Ethics: The Role of Religiosity.” Journal of Business Ethics 46 (2): 151–162. Yurdakul, D., and D. Atik. 2016. “Coping with Poverty through Internalization and Resistance: The Role of Religion.” Journal of Macromarketing, forthcoming.